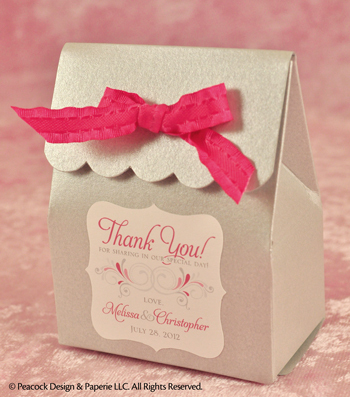 We offer various styles & sizes for favor boxes that can be used for weddings, birthdays, showers, or any other event. The favor boxes come in metallic and matte colors and are available for purchase. You may choose to have us design labels or tags, attach ribbons, and have us fully assemble for all of your guests with a filler of your choice (filler can be provided by you or us). 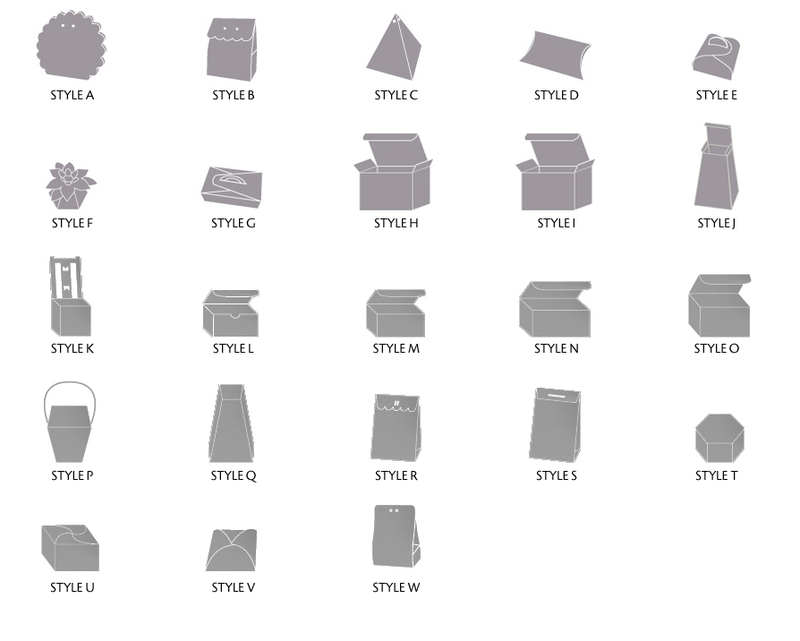 Or you may choose to purchase, fill and decorate the boxes yourself. COLORS & PRICING WILL BE POSTED SOON FOR YOUR CONVENIENCE. FOR NOW, PLEASE USE OUR CONTACT FORM.